Buying a motorcycle can be an exciting thing to do, but this only happens when you know how to choose the right one. There are many things you will have to consider before selecting one, the best way to do this in the first place, is to keep in mind why you need the motorcycle. Whether you go for a new or used motorcycle is your choice, but just like many other items, there are factors you will use to select the right motorcycle. How you intend to use the motorcycle will determine the type you go for since the various types are meant for different purposes. You have a wide selection of motorcycles to choose from and these include the standard bikes, touring bikes, cruisers, sport bikes, dual-purpose and motocross bikes. Your needs will tell you which one is right to buy. When you want to buy a motorcycle, you should also consider your level of experience in riding. This is because you need to get a motorcycle that you can handle, for instance, you can’t go for a heavy or very fast motorcycle when you are just an inexperienced rider. There are motorcycles types that are good for people like you, like the standard motorcycles. Motorcycles come with different power capabilities which are measured in cc and you can choose this according to how good you are. 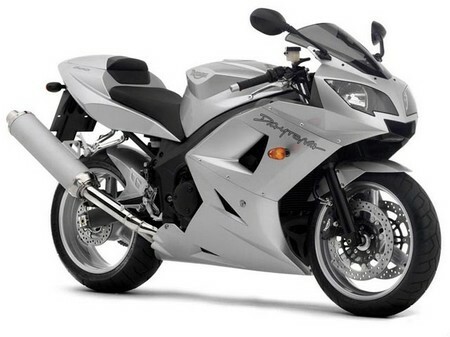 It is always good to compare the price with what you will be getting in terms of the features of the motorcycle. Once you have decided on the type of motorcycle you want, you can now set out to look for a place you can get something of quality and at a price you can afford. Apart from the price of buying it, other costs involved include state registration fee, license plate fee, title fee and insurance. You can buy a motorcycle from a private seller or dealer, your choice will be dependent on several things. Financing. When you get it from a dealer, you may benefit from several buying options in which case you may pay cash or through monthly payments. With a private seller, you will need to pay cash for it. Price. When you buy it from a dealer, it might be a bit expensive especially when you make monthly payments due to the interest rates. Motorcycles come with different weight and height features hence when you are buying one make sure you are going to be comfortable riding on it. A test drive would help to determine whether the motorcycle is too high or too low for you. If you are having difficulty getting onto the motorcycle, then it might just be too tall for you. When you find the right motorcycle you want to buy, you can test it out to ensure everything is in good working condition especially if it is a used motorcycle. Some of the things to check are the handle bars, levers and pedals, forks, suspension, exhaust frames and the electrics. You can also have a test ride which will help you identify anything bad with the motorcycle that you may not desire.